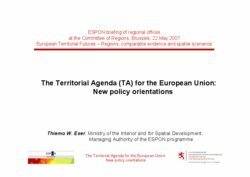 Following-up the event organised by ESPON and the Committee of the Regions in November 2006, ESPON invited representatives from European regions for a second open dialogue. 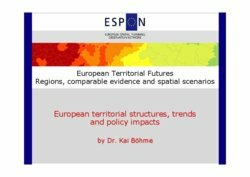 The conference focused on European perspectives for regions, on the upcoming Territorial Agenda for the EU, and on opportunities for joint analytical efforts involving regions and ESPON. 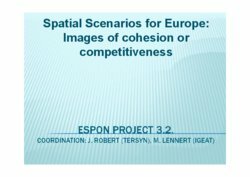 Spatial scenarios for the European territory and the latest ESPON findings were presented for discussion. The event on 22 May 2007 was organised in co-operation with the Committee of the Regions. 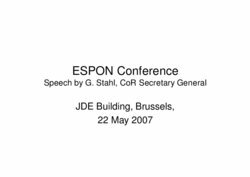 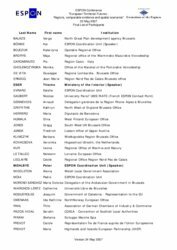 Please, find below the programme of the Conference, the final list of participants and the presentations given during the event.